As the lone anthropologist at a small teaching university in West Baltimore, I have often sought collaborative opportunities with disciplinary colleagues at nearby institutions. Motivated by similar circumstances, University of Baltimore archaeologist Ronald Castanzo invited me to engage in a project on East Baltimore’s former Laurel Cemetery—a once popular burial site for Baltimore’s late nineteenth and early twentieth-century African American population, now the site of a well-known shopping center. Together, we designed the Laurel Cemetery Project as a public anthropology initiative with two components: (1) archaeological survey; and (2) ethnographic and historical research to explore the material, social, and symbolic contexts within which the cemetery operated. The purpose of archaeological investigation was to determine if burials remain at the site. 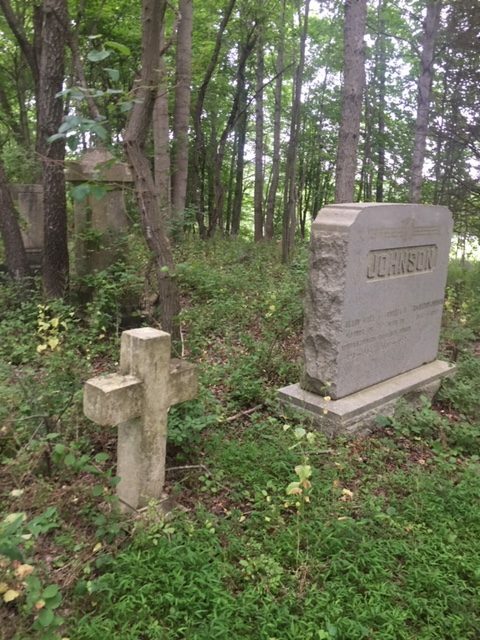 Thousands were buried there, and roughly three hundred burials were moved to a new location in Carroll Country, Maryland, when the cemetery was officially demolished in the late 1950s. Early 1960s–era shopping center construction destroyed an untold number of graves. Given these disturbances, and the acidic nature of the soil, we were unsure of what we’d find. A University of Baltimore faculty research grant afforded the rental of Ground Penetrating Radar and Magnetometer equipment. 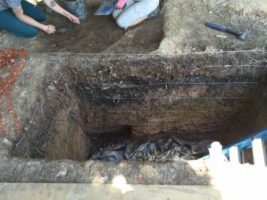 With student volunteers from the University of Baltimore, Coppin State University, and the Community College of Baltimore County, we conducted limited archaeological investigation over two summers. Survey results disclosed conclusive evidence of existing burials with Ground Penetrating Radar, suggesting the existence of many more burials in a grassy area by the main road and under the parking lot. I journeyed to meetings of local neighborhood associations thinking that I would find long-term residents with knowledge of the cemetery—and perhaps stories to tell. However, I was surprised to find that I was the one teaching the site’s history to curious and astonished residents. Thus, the second phase of the project (ethnographic and historical study) needed to involve significant public education and outreach to “get the word out,” and to invite those with knowledge of the cemetery to come forth with information. Social media was a great place to begin. My first step was to produce a short video. I contacted Towson University anthropologist Matthew Durrington, who connected me to Rachel Ederer, a student videographer. With borrowed equipment from Towson’s Visual Anthropology Lab, Rachel and I completed a three-minute mini-documentary titled Remembering Laurel Cemetery. I then posted the video on YouTube and linked it to relevant Facebook groups. One such site, Baltimore Old Photos, consisted of over 85,000 members. Through relevant Facebook Groups, I was able to immediately make the story of the Laurel Cemetery available to over 100,000 users. Then, slowly but surely, word began to spread. In the months after posting the video, Castanzo and I were contacted by various local historians, heritage organizations, descendants, and the office of a Baltimore City Councilwoman. Additionally, reporters from internet and print media profiled the Laurel Cemetery story in such outlets as the Baltimore Sun (front page—above the fold! ), Atlas Obscura, Daily Mail, and the Washington Post. These exposures, in turn, encouraged further contacts. An informal assessment of the impact of these communications occurred while visiting the site with a Baltimore Sun reporter in spring 2018. In sharp contrast to the early days of the project when Castanzo and I were consistently met with surprise and quizzical stares, every individual that we encountered, even one memorable gentleman who appeared quite inebriated, was compelled to inform us that we were standing on the site of a former cemetery. Word had definitely gotten out! Now, the challenge is coordinating a small multitude of stakeholder voices into a coherent plan to preserve the history of the cemetery. 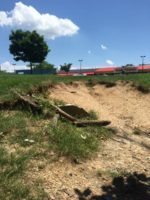 Such stakeholder voices include, but are not limited to, descendants of those buried at the site, residents of at least three local community associations, the owners of the shopping center, store owners, employees and patrons, local politicians, amateur historians and genealogical researchers, the Baltimore City Planning Board, and local heritage organizations. In the past year, I have been in direct contact with members of each group. Our current strategy is to host a symposium. This will serve as a venue to formally present project findings, and to engage stakeholders in a discussion on how to permanently memorialize the site. Plans for such a symposium are underway. A major goal of public anthropology is to inspire public dialogue around societal issues for the purpose of increasing understanding and inducing changes in perspectives and practices. The Laurel Cemetery Project forces a critical public dialogue concerning issues of heritage, preservation, and race. The tragedy of unrecognized African American footprints on our collective landscape is that it reinforces an old idea that black people have not constituted a critical part of the making of this country. African American history is then marginalized and diminished while a critical birthright is usurped, leaving an ignorance that is destructive to everyone. A sacred site, such as a burial ground for thousands of Baltimore’s nineteenth- and early-twentieth-century African Americans, should not be forgotten. To allow such an occurrence is to aid in erasing a sense of identity and belonging in the landscape of American experience. Elgin Klugh is an associate professor in the department of applied social and political sciences at Coppin State University. His research interests include community revitalization; African American history, life and culture; heritage; cultural landscapes; and cultural resource management.